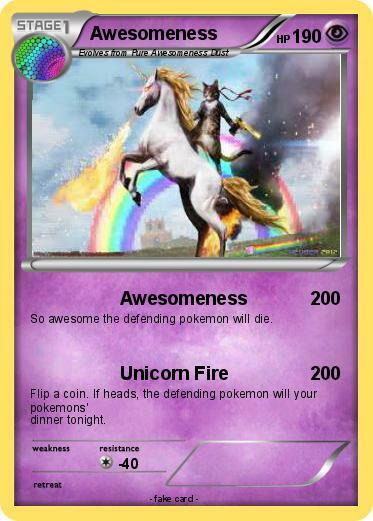 So awesome the defending pokemon will die. Flip a coin. If heads, the defending pokemon will your pokemons' dinner tonight.